Saturday, The Keller Group celebrated with our client WGU Washington as it awarded nearly 1,900 bachelor’s and master’s degrees to students from across the state at the its fifth annual commencement ceremony. 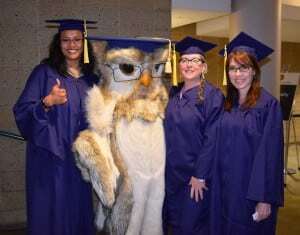 Our team, along with the graduates, family members, WGU Washington faculty and other supporters, packed KeyArena to celebrate their largest class of graduates yet. Since being established in 2011, WGU Washington has grown more than 1,000 percent and now has over 9,200 full-time students – making it the sixth largest university in the state. On top of that, more than 5,600 Washingtonians, including this year’s class, have earned degrees. “Your graduation signifies that WGU will be sending off the newest collection of highly skilled and knowledgeable business leaders, educators, nurses and IT professionals that our workforce needs to remain competitive in the global and ever changing marketplace,” said Executive Director of the Washington Student Achievement Council Dr. Gene Sharratt, the ceremony’s keynote speaker. More than 400 graduates ‘walked’ in the Seattle ceremony — those who were not in attendance had the opportunity to watch a livestream on the university’s YouTube page. 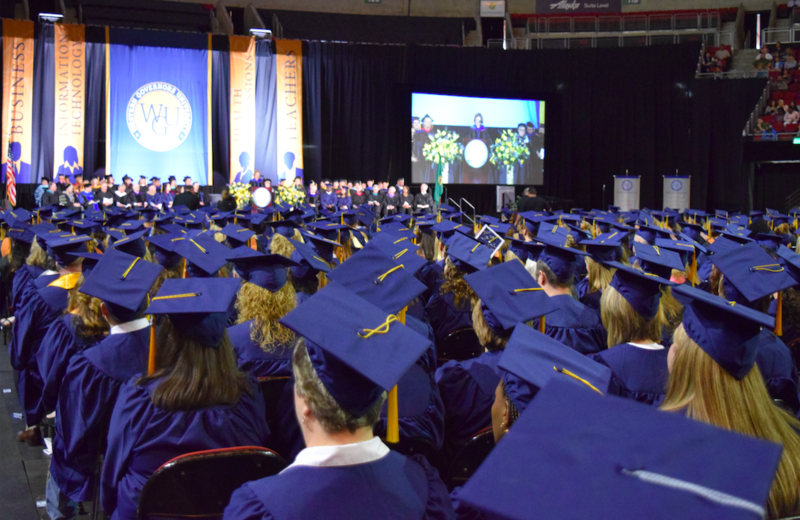 Graduates, friends and families celebrated commencement on social media with the hashtag #WGUWA16. 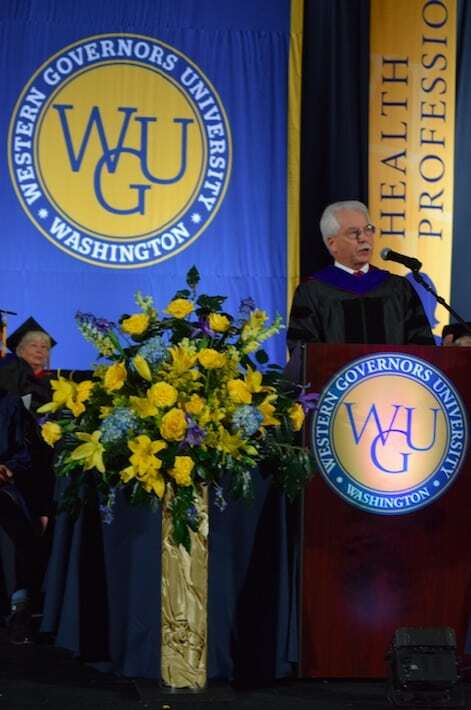 Saturday’s ceremony kicks-off WGU Washington Week, proclaimed by Gov. Jay Inslee in recognition of the university’s fifth anniversary and the impact it has had on the higher education landscape in the state. Check out some of the great coverage our wonderful client has received including editorials in the Spokesman Review, Bellevue Business Journal, and King 5 News. 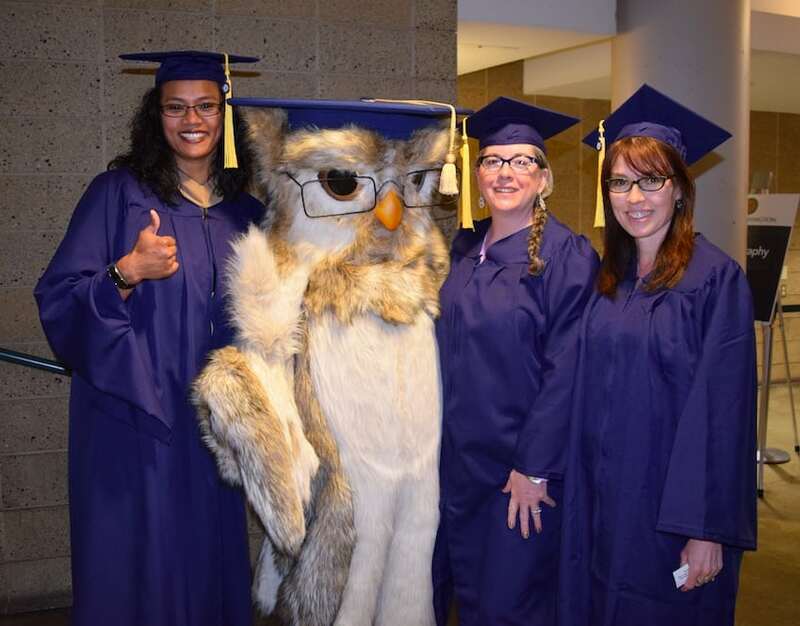 This is The Keller Group’s fourth year working with WGU Washington on its commencement ceremony and it’s been absolutely amazing to watch the number of graduates walking across the stage grow with each passing year. 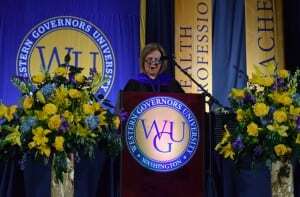 We are proud to work with a university that is changing the way higher education is delivered to people across this state and nationally!